Have you noticed that at this time of the year shops are flooded with gifts and nick-knacks for Valentine’s Day and Mother’s Day? It is just so very difficult to choose a perfect present for these two special days with so much of the same type of products on display. 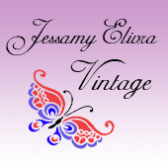 Vintage jewellery is always the ideal gift, it is so evocative and romantic. This is the wonder of vintage jewellery as a gift – each piece is unique and has its own history. But men especially may need a little help with this bewildering choice. 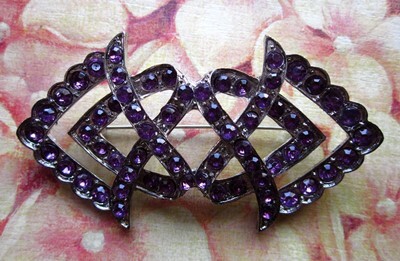 I love romance and Valentine’s Day is the perfect chance to indulge in the evocative romance of vintage jewellery. 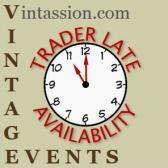 Girls, you need to nudge the man in your life to buy vintage. 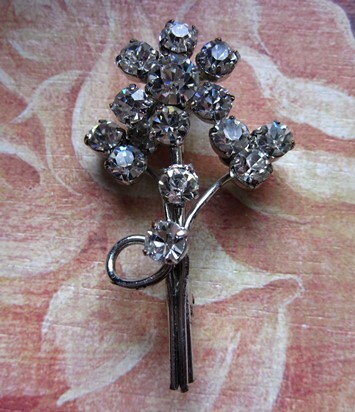 Talk about the romance of vintage, the hearts and flowers of vintage jewellery, the sparkle and glamour of vintage. We all like to feel special, and what could be more special as an expression of romantic love than for the one you adore to give you the sentimentality and charm of vintage jewellery. But don't forget Mother’s Day is also coming up soon, and it can be a great happiness to share with your mother the magic of vintage jewellery. 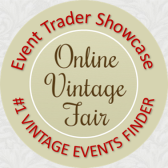 Show the man in your life that he can easily buy vintage jewellery online, he doesn't have to go to a vintage fair. 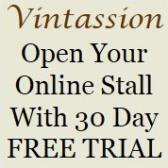 There is so much enticing choice online and lots of men just do not like going into shops or to fairs. 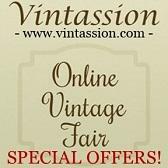 It's so convenient to shop online, and to arrange for the lovely surprise of vintage jewellery as a gift. Some online sellers offer a gorgeous gift wrapping service, so he doesn't even have to worry about wrapping his special gift. 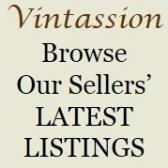 Each piece of vintage jewellery is as unique as your Valentine or your mother, it won't be seen or sold anywhere else. 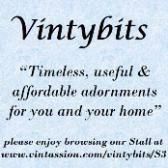 Your vintage gift really will be chosen with a special love for a special person. And remember, there are also lovely Valentine’s Day and Mother’s Day cards sold online, and don't forget to order a bunch of pretty flowers, too! It is so easy to shop online. 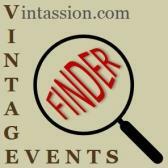 But going away for a weekend to a vintage fair creates delightfully perfect memories. 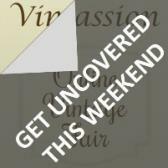 However, don't forget that shopping online for your Valentine’s Day gift or Mother’s Day gift can have its rewards. 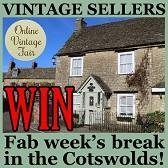 You have a chance to win a weekend away in the Cotswolds whenever you buy something on Vintassion, the online vintage fair. If you are lucky enough to win, this would be the perfect chance to wear your gift of unique vintage jewellery while you indulge in the happiness of your holiday, and create memories for your memory box.